As a story, The Wolf Children Ame and Yuki takes much from Japanese mythology. Wolves, and other animals, are spirits of nature and can take human form if they wish. Moreover, it follows the common tale of two lovers from different worlds trying to make a life together. So in a number of ways, it is a story you have heard before. But moving the tale into a modern setting makes everything seem fresh again. And what really makes the movie shine is how it explores its central problem. baby and the other a toddler, are far from normal, switching from human to wolf seemingly at random and with little control. But how do you deal with children who are as likely to open drawers as they are to chew on your table legs? When they get sick, do you take them to a doctor or a vet? What do you do when your landlord wants to evict you for breaking your lease by keeping pets? And most importantly, how do you prevent their secret from being exposed to the world? The movie confronts all these issues, and often, the solutions to the problems cause more problems in turn. suited quite well to the kids' quick changes from human to wolf, it also means that even the main characters lack faces when shown at any kind of distance. This is made even worse when the indistinct characters are set against the incredibly beautiful and detailed backgrounds of the film. So while the style does have its merits, it also takes away some of the beauty of the film. long before the point where there could be any kind of real conclusion. But is that inherently bad? Perhaps not—in a slice-of-life story. But for those of us who demand resolution, this kind of ending leaves us cold. That said, I wonder if the writers were having a hard time deciding between a standard three-act structure or a slice-of-life structure. Right before the ending, there's a climax, a climax that seems very rushed and arbitrary—and really not very much of a climax at all. There's no reason for everything that happens to happen all at the same time. Moreover, much of the climax could have been prevented with a few simple words of explanation. It feels like the creators decided that the film needed a climax before the ending, so one was forced upon the story, whether it was warranted or not. So was The Wolf Children Ame and Yuki on par with the thematically similar Ghibli movies? Yes, for the most part. The animation was a bit weak and the ending lackluster, but the overall sense of wonder and excitement was there in spades. Also, the way they treat a fantastical problem so seriously made the film intellectually stimulating as well. Simply put, while not game changing, this is a fun two-hour anime enjoyable by kids and adults alike. 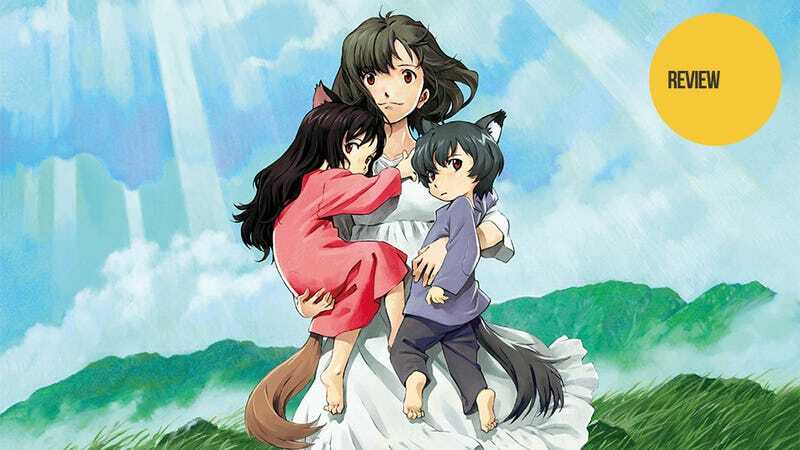 The Wolf Children Ame and Yuki was released in Japan on July 21, 2012. It has been licensed in Europe (and began running in theaters last weekend in France) and will be having a limited run in Australian theaters from September 13-26.